Stage Three was a day for the sprinters, but the attackers put up a fight for their shot at the win. A relatively short race this week, with riders taking on 3 laps of the Watopia Flat route for a total distance just over 30 km. 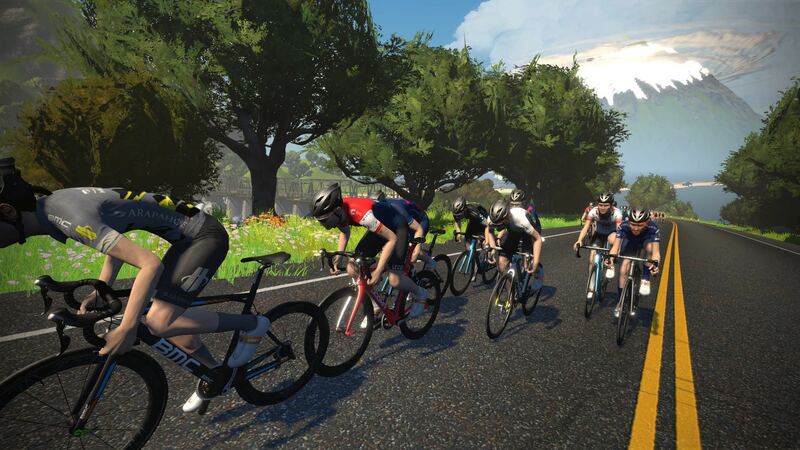 Mostly flat terrain, a series of short rolling hills at the end of each lap can catch riders off-guard–or serve as a launch pad for attacks. 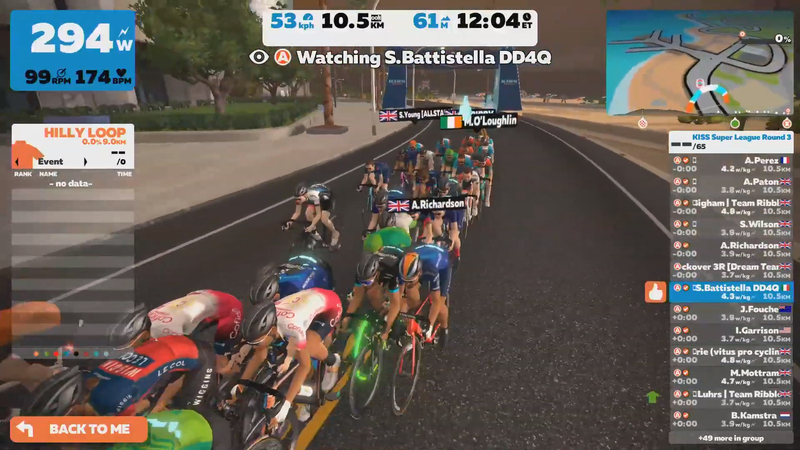 Few riders were caught out at the start this week, as they began to get the hang of Zwift races. A short incline out of the underwater tunnel, which caught out many of the pro racers in Stage One, did not pose much of a problem this time around. The group mostly stayed together through the surges. But a small hill after the sprint banner sent riders off the back on each lap. Eddie Anderson (Hagens Berman Axeon) and Anthony Perez (Cofidis) went for an early breakaway in the first lap, but the peloton shut it down. On the second lap, Damien Touzé (Cofidis) also tried to get away. He was caught as the bunch wound up for a sprint. 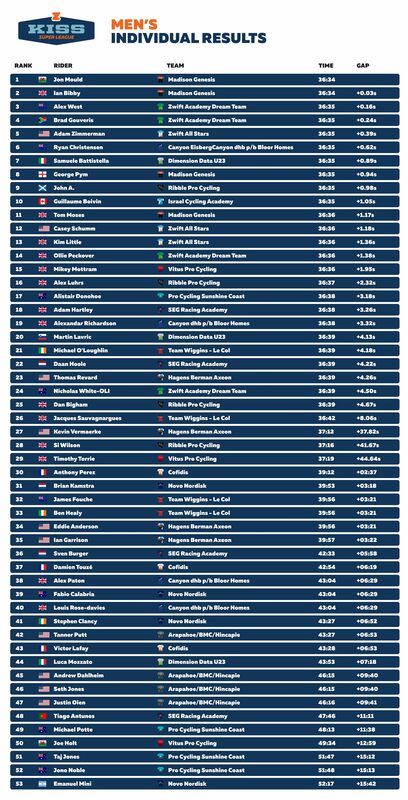 The intermediate sprint competition returned this week, which awards riders points for crossing first, second, and third at the sprint banner on each lap. 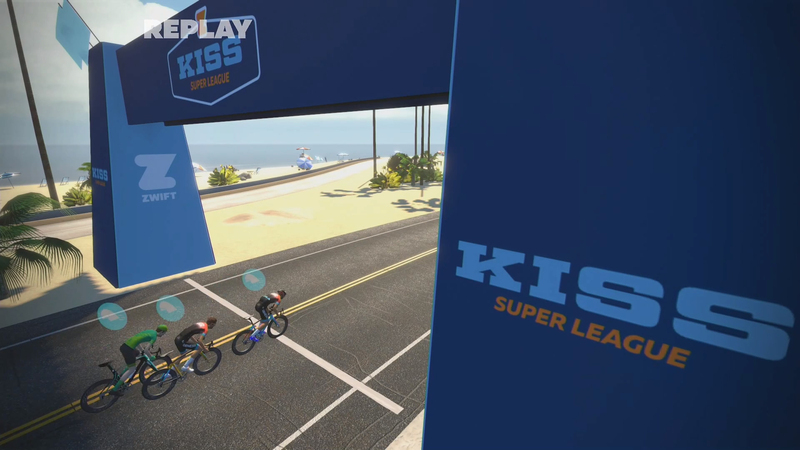 Kim Little (Zwift All Stars) was once again ever-present on the sprint podium, but others had eyes on the prize. After taking first place on two of the three laps, Alex Luhrs of Ribble Pro Cycling won the competition. As the race entered its final lap, Jacques Sauvagnargues (Team Wiggins – Le Col) launched a powerful attack to gain several seconds, before he was reeled in on the short descent into the underwater tunnel. Samuele Battistella (Dimension Data U23) tried a counterattack but could not manage a breakaway. This week’s attacks were not sticking. The pace was high. It looked like the race was sure to come down to a bunch sprint finish, with about 30 riders remaining. Then, on a short hill immediately after the final sprint, boom! Dan Bigham (Team Ribble) went BIG, attacking less than one kilometer from the finish line. He pulled out and held a 6-second gap, in spite of a strong chase effort from some racers behind. This was a serious attack from a rider who puts in the work. 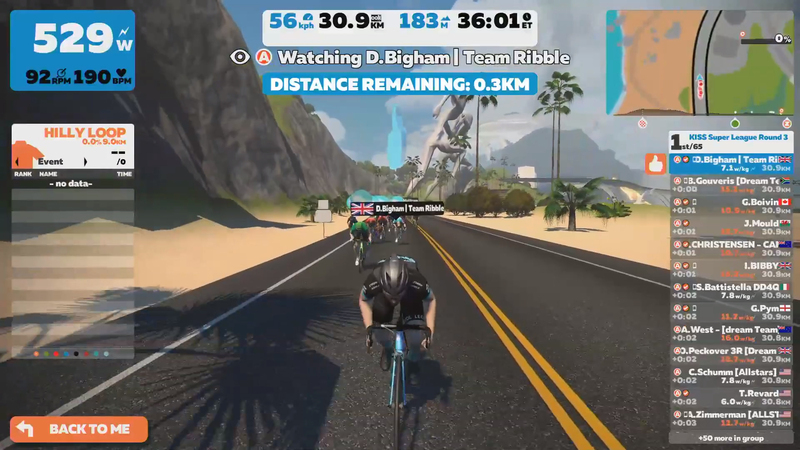 Over the weekend, Bigham had ridden five Zwift races and podiumed in four of them. 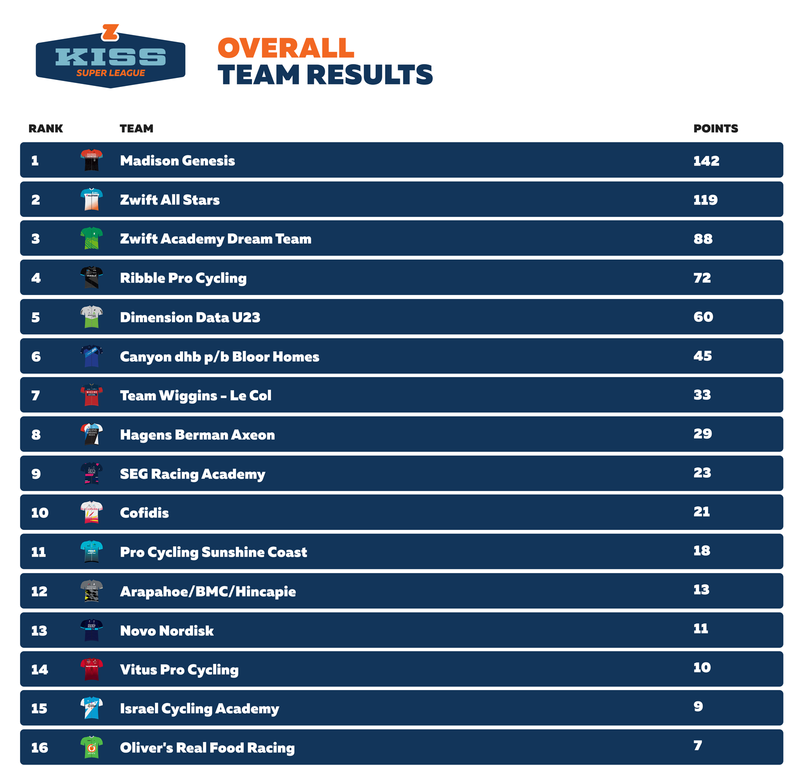 “It was definitely worrying...it was a flashback to last week with a solo victory,” said Alex West (Zwift Academy Dream Team). “But my team manager on Discord told us that it’s about the team overall, not just the personal victory, so we took the risk with leaving him there. The peloton unleashed their sprints and aero helmet PowerUps. They swarmed around Bigham. Jon Mould (Madison Genesis) took the win with a long sprint, ahead of teammate Ian Bibby. Bigham held on to finish with the pack in 26th place. 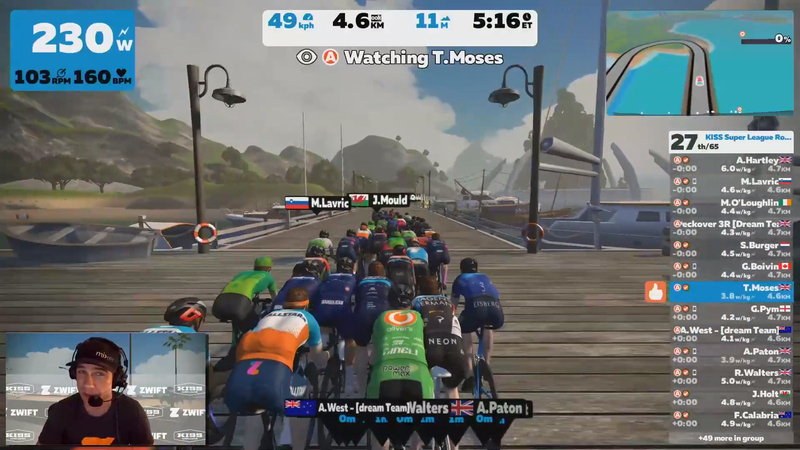 The Zwift Academy Dream Team expected a sprint finish, West said. They knew they had to stay attentive on the last lap, though, in case anyone tried to sneak away. Teammate Brad Gouveris followed the early moves and took third place, just ahead of West in fourth. Tune in live next Wednesday to see all the action!